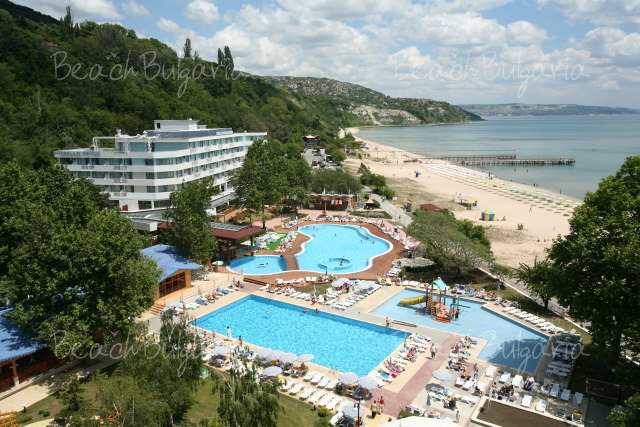 Arabella Beach hotel is located on the beach of Albena Black sea resort. The hotel features 74 double rooms, 28 studios, 3 one-bedroom suites, 3 two-bedroom suites. Double room (22 sq.m) - 2 single beds, Folding sofa, Air-conditioner, Balcony, Safe box in the room, TV SAT, Laundry-dryer stand, Phone, Internet access (extra charge), Bath-tub and Shower, Hair-drier, Mini bar. 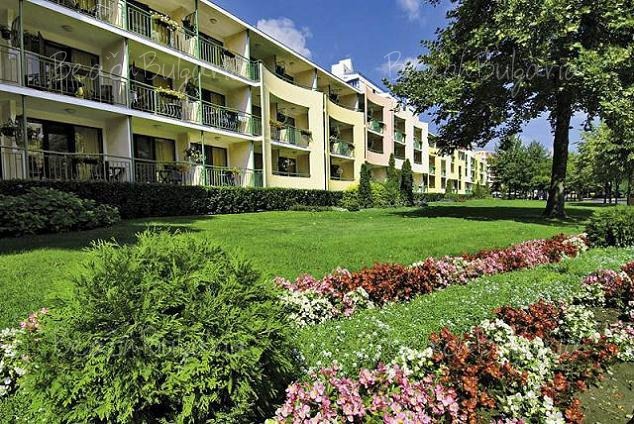 One-bedroom suites (32 sq.m) - Double bed, Folding sofa, Kitchenette, Electric rings, Air-conditioner, TV SAT, Balcony, Phone, Bath-tub and Shower, Mini bar, Hair-drier. Studio (22 sq.m) - 2 single beds, Folding sofa, Kitchenette, Electric rings, Air-conditioner, Balcony, TV SAT, Mini bar, Phone, Shower, Bath-tub, Hair-drier. 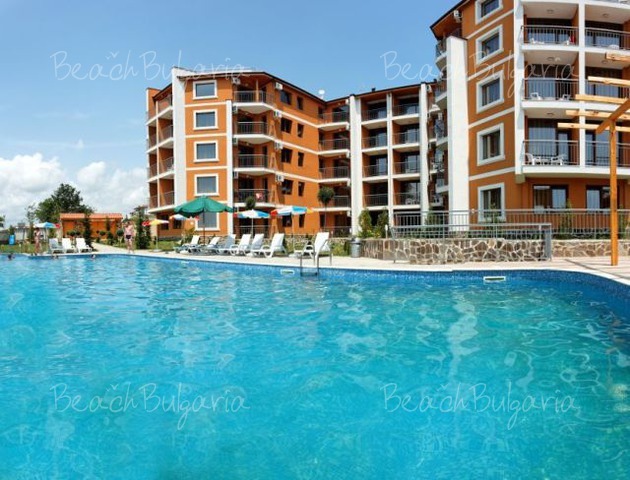 6 floors, 2 elevators, Outdoor swimming pool, Safe at the reception, Internet cafe, Wi-Fi internet, Сredit cards, Animation program, Currency exchange, Parking, Disabled friendly, Secured area, Gardens. The property features bars and restaurants, BBQ, vegetarian and children's menus, All inclusive program. 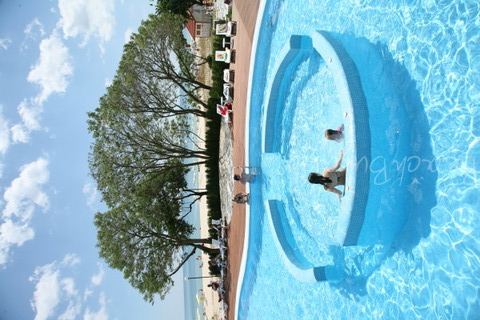 - Beach volleyball, football, Darts, aqua aerobic, chess, badminton, backgammon. Please, post a comment on Arabella Beach Hotel.